You are welcome to utilize Tutoring Services on a drop-in basis; however, it is advisable to make an appointment in order to guarantee a specific time, day, or tutor. You also need to realize that just because Tutoring Services is open does not mean that a tutor in your subject area is available. Always check the Tutoring Services Appointment Website to confirm tutor availability. How often should I visit Tutoring Services? You may visit the Tutoring Services as much as you want! However, to be fair to the entire student body, we ask that you limit visits to 5 hours per week. The idea behind Tutoring Services is to help assist you in acquiring skills so you won’t need to visit at all, or you will come for other reasons/classes. If you feel you are failing a class or need intensive help, weekly tutoring is available. What is expected of those who use Tutoring Services? Call if you cannot make an appointment. Someone else may be able to use your time. You’re welcome to write down questions for your tutor. It’s YOUR session and YOUR time. Tutors want to address YOUR concerns. Talk to the director if you don’t think your session went well. We’ll always try to match you with a tutor who best suits your needs. Treat your tutors with respect. They are trying to help you meet your goals. If you’re writing a paper, you are welcome to come to the center during any stage of the writing process (brainstorming, prewriting, drafting, or revising). Don’t expect miracles. 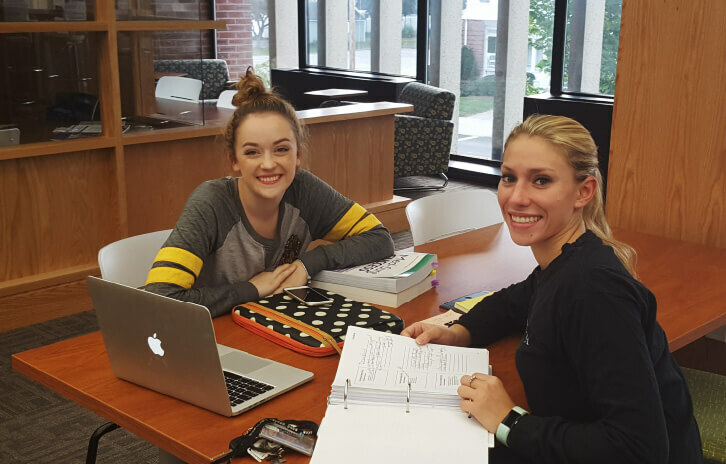 Tutoring Services is designed to help you long term, so plan ahead so that you can have multiple sessions before a test, paper, or major homework assignment. Don’t wait until the last minute. One session isn’t going to fix everything. When is the best time to see a writing tutor about a paper? Who are the tutors, and what do they do? Tutors are students who have achieved high grades in their areas of concentration, been recommended by a faculty member, and completed a tutor training course. They do not write your papers, finish your homework, complete your problems, correct your papers, or give you answers. Tutors are trained to assist you in finding and developing correct methods in problem-solving and critical thinking as well as help you to improve your study skills, work habits, test-taking skills, and motivational skills. Tutors are not responsible for the grades you receive. However, grades may improve over a semester’s period of work — not necessarily as a result of one or two visits to the center. Don’t expect a “quick-fix”! To be a successful, independent learner takes time. If you don’t hit it off with a tutor, make an appointment to work with someone else. You may always talk to the Director of Tutoring if you feel the problem is more serious. Does working with a tutor mean I'm not ready for college? Working with a tutor is in no way a failure. We often see A or B students who want to discuss a topic more in depth, get a different viewpoint, or ask questions. Working with a tutor does not single you out in any way. If anything, it shows that you care about your school work!